Manufactured by sintered diamond beads, assembled by rubber and spring, the diamond wire is engineered for use with a variety of materials and numerous application, specialized in cutting mega concrete constructures such as bridges, subways, pipelines and underwater buildings. The cutting process can be controlled by long distance. Now it's widely used for cutting kinds of concrete mega projects, such as big post, cement pipe, and also for the most demanding applications for complex projects, like sunken ship, steel pipe steel cable, etc. The diamond wire is suitable for hydraulic wire saw and electric wire saw, common sizes for concrete & reinforced concrete are 10.5 mm, 11.0 mm, 11.5 mm. Long lifespan and good cutting speed, cutting heavily reinforced concrete, lifespan can reach 2.5 ㎡/m on average. Synthrtic rubber injection minimise uneven wear to the beads. We have full&mature prodution line for diamond Concrete Wire, capacity is 1000 meters of concrete wire per week. Packaging: 1 roll for one carton, 50 meters measured, weighted 20KGS. 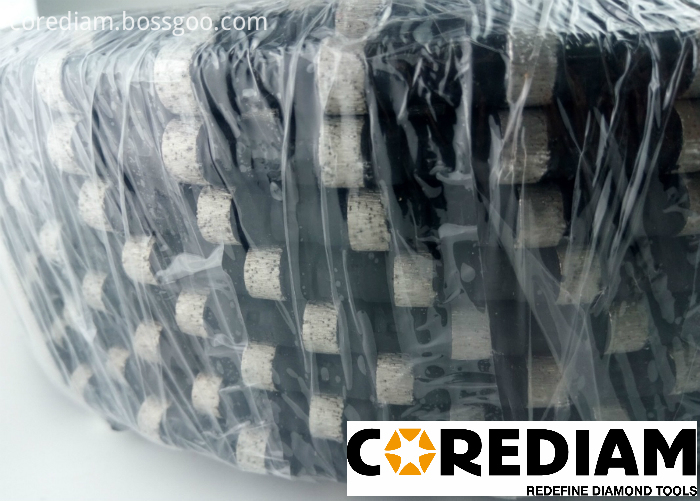 For batch order, delivery time of concrete wire is within 7 week. 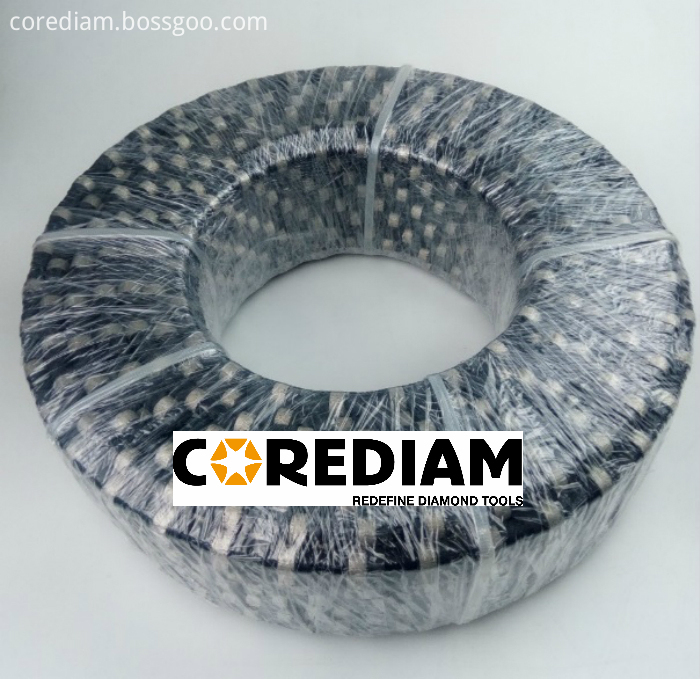 We Corediam provide full diamond wire solution for your project, offering customerized diamond wire depent on your demand of your concrete cutting project. Looking for ideal Bead Diametere in 10.5mm-Concrete Wire Manufacturer & supplier ? We have a wide selection at great prices to help you get creative. All the Diamond Wire in 10.5mm for Concrete are quality guaranteed. We are China Origin Factory of Super Efficiency Diamond Wire. If you have any question, please feel free to contact us.